We have very sad news to report for classic horror movie fans, as Joseph Pilato has reportedly passed away. Pilato is perhaps best known for his role as the antagonist in George A. Romero's 1985 zombie movie sequel Day of the Dead, delivering one of the most memorable villain performances of the era. The late actor died in his sleep at 70 years old, and further details on Pilato's passing are not yet clear. His friend Marty Schiff confirmed the news on Facebook, posting a heartfelt message along with the announcement. 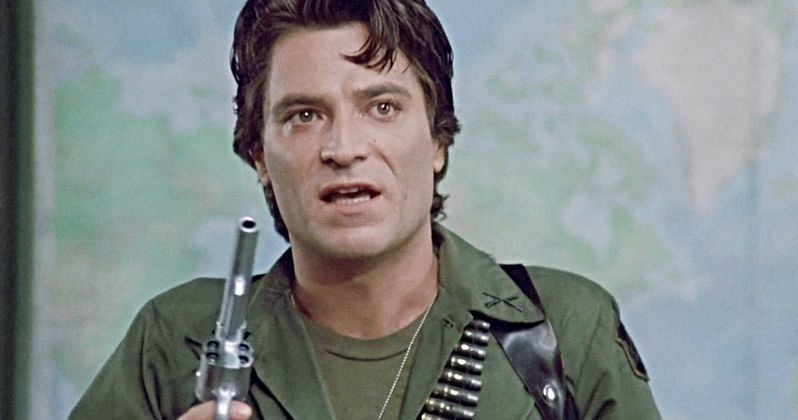 "It is with great sadness that I inform you that actor and old friend Joseph "Joe" Pilato passed away quietly in his sleep last night," Shiff says in the post. "Rest in Peace, Joe." Although he initially wanted to be a lawyer, Pilato discovered in the late '70s he had an interest in acting. His acting career officially began in 1978 when George A. Romero cast him as a police officer in the seminal zombie movie Dawn of the Dead. After appearing in Effects and Knightriders, Pilato collaborated with Romero again for the legendary director's next zombie opus, Day Of The Dead. This time, Pilato starred in a lead role, portraying the movie's antagonist Captain Rhodes. He played the part of the bad guy so well in the movie that viewers were happy to see Rhodes getting his comeuppance in the end by the undead. It takes talent to make people root for a zombie over a human, but Pilato certainly achieved that as Captain Rhodes. Pilato's career as an actor would resume in the following years, with the actor appearing in a wide variety of titles in the 1990's. This includes roles in movies like Alienator, Pulp Fiction, The Demolitionist, Wishmaster, as MetalGreymon on the Digimon series. He continued to act in horror movies after the start of the new millennium, appearing in Someone's Knocking at the Door and The Ghouls. His final acting credit came in 2015 for Night of the Living Dead: Origins 3D as Harry Cooper. Pilato had also been a regular guest at horror conventions, often signing autographs and taking photos with his fans. Horror fans are still grieving over the loss of George Romero as well, whose passing in 2017 still feels pretty recent. The legendary director had left behind many unproduced screenplays at the time of his death, many of which his widow is planning on having developed. Along with Pilato, Day Of The Dead will help preserve the contributions of those who worked so hard on the cult classic movie. Known for being one of the very best zombie movies of all time, the 1985 classic is going to be watched and talked about for many more decades to come. Decades before The Walking Dead, Day of the Dead was telling a story about how human survivors can be far more dangerous than walking zombie. Pilato's performance in the movie can be considered legendary, making Rhodes one of the most memorable antagonists ever. We offer our condolences to the late actor's family and friends, and may he rest in peace. This information comes to us from Bloody Disgusting.